If you are the kind of player that likes to go after the really big win then progressive jackpot games are the way forward. At Winner Casino there is over £17 million worth of progressive jackpots up for grabs from a variety of games. Whether you enjoy slots, card and table games, arcade games, video poker or anything else, you are sure to find a few progressive games to enjoy. Here is a small selection of those currently on offer. 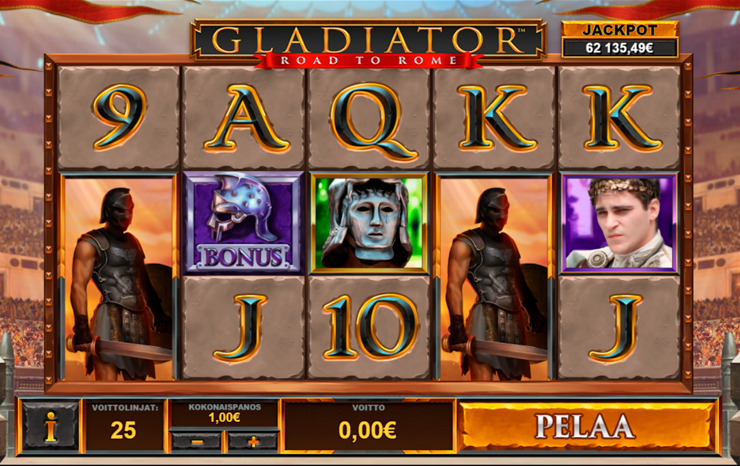 Recently launched at Winner Casino is Gladiator Road to Rome slots, our newest progressive jackpot game. 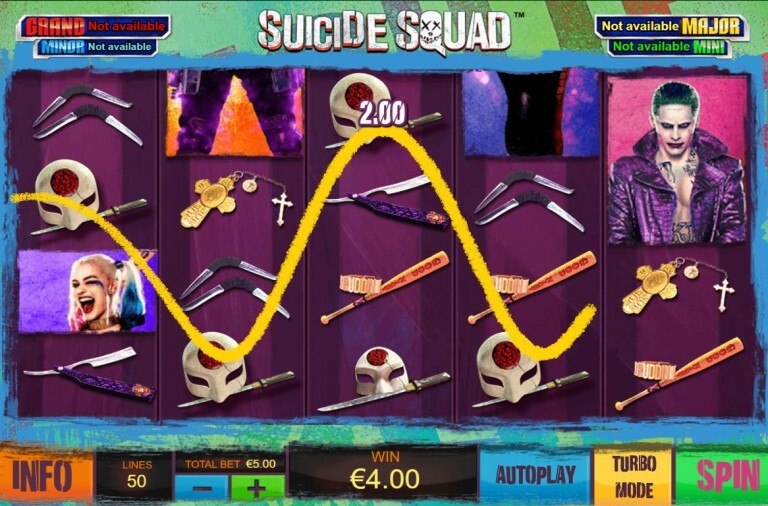 Like the highly popular slot Gladiator, this game is based upon the hit film of the same name and brings all of your favourite characters to the reels. 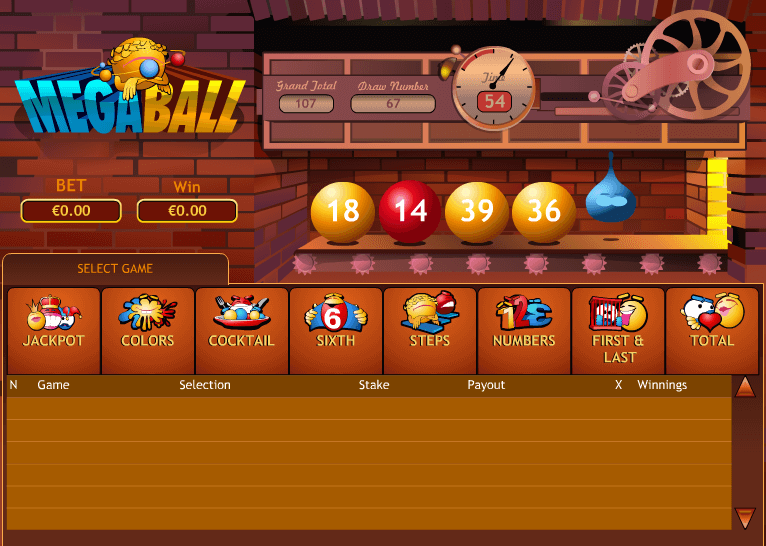 While it is a new game, it is already offering a progressive jackpot worth well over £610,000! It is a 5 reel slot with 3 rows and 25 fixed paylines. Behind the reels you can see the coliseum and there are flags waving on each side of the screen. The high value symbols include the characters Commodus, Lucilla, Proximo and Tigris of Gaul. There is also a Gladiator symbol that can land stacked on the reels and when it covers all positions on a reel it will turn wild and substitute for all the other symbols except the scatter and bonus symbols. 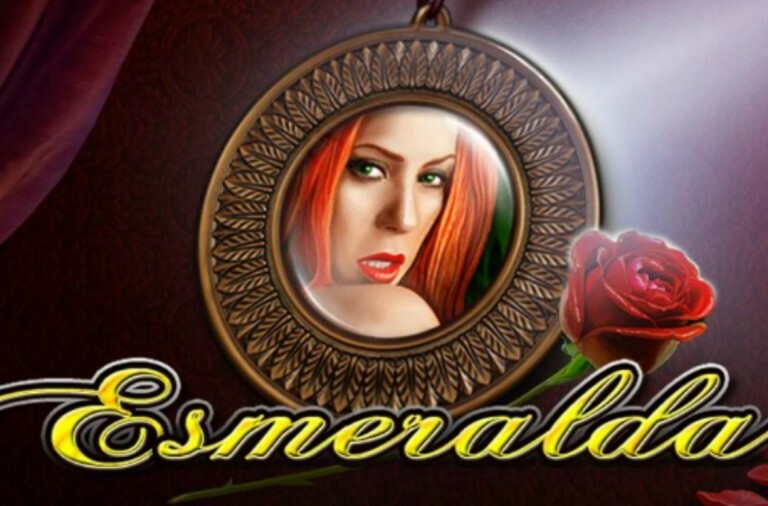 Extra Free Spins – Up to 3 extra free spins. 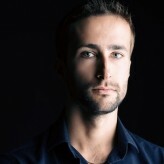 Symbol Payout Boost – Increases the payout of a randomly chosen symbol by 5 times. Extra Wild Symbol – A randomly chosen symbol becomes an extra wild during the spins. Symbol Pays as Scatter – A symbol is chosen at random to behave as a scatter symbol. It will also expand during the spins. Gladiator Wild Nudge – When a Gladiator symbol lands partially on the reels it nudges to turn the entire reel wild. 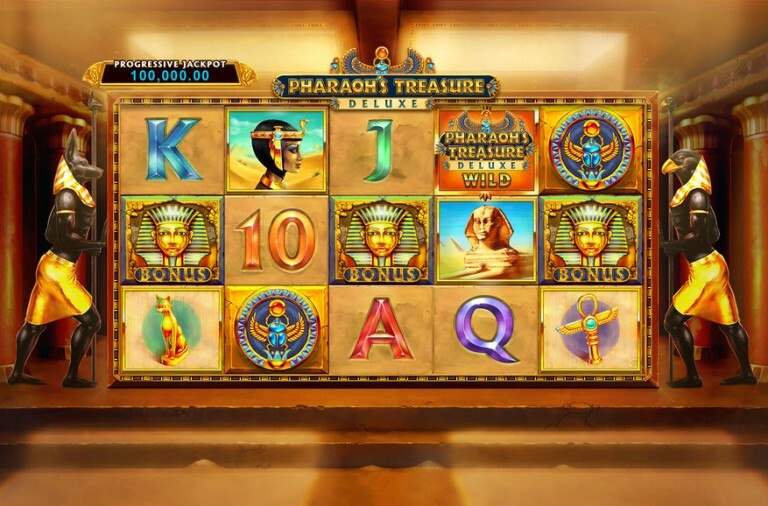 The slot also offers a Gladiator Bonus game and this is where the progressive jackpot can be won. It begins when you land the Helmet bonus symbols on reels 2, 3 and 4 simultaneously. You are then shown nine helmets made of bronze, silver or gold. Each metal is worth a different cash prize (with gold the most valuable) and if all nine helmets are made from gold the progressive jackpot is yours! Gladiator Road to Rome has a betting range of £0.25 up to £125 per spin so it won’t cost you a fortune to play. In addition to the progressive jackpot the slot offers a top fixed payout of 1,000x for landing five of the gladiator symbols along a payline. Commodus can payout up to 500x, Lucilla can payout up to 375x, Proximo can payout up to 250x and Tigris of Gaul can payout up to 250x. If you are looking for a new progressive jackpot game to enjoy then give this exciting new slot a try today. If you are a fan of superheroes and in particular the DC Comic heroes then Justice League slots is sure to be a game that you will enjoy. Add to that the fact that it is linked to four progressive jackpots, the largest of which is worth over £1 million, and this becomes a must try game. Justice League is a 5 reel slot with 3 rows and 40 fixed paylines. The reels are set against a rocky landscape while the symbols are superheroes including Batman, Superman, Wonder Woman, Aquaman, Cyborg and The Flash. The low value symbols are also theme related and are made up of various heroes’ logos. The Justice League logo is the wild symbol, it will substitute for all the other symbols, except the scatters, to help and form wins. There are three scatter symbols, boxes coloured red, white and bronze, and they trigger the main bonus feature. At any point you may be awarded a Super Hero Respin. One of the reel positions will be highlighted in a red feature frame and if a superhero lands inside the frame it will become wild. The feature will then be retriggered and if this happens five times it means that all the superhero symbols will be wild on the final spin and this should produce a big win. If you can land the scatter symbols on reels one, three and five at the same time the free spins begin. There are six different free spin games, one for each superhero, and a different hero is unlocked with each spin of the reels. Cyborg – Awards 12 free spins during which a feature frame is present on every spin and an extra frame is added after a spin without a wild transformation. 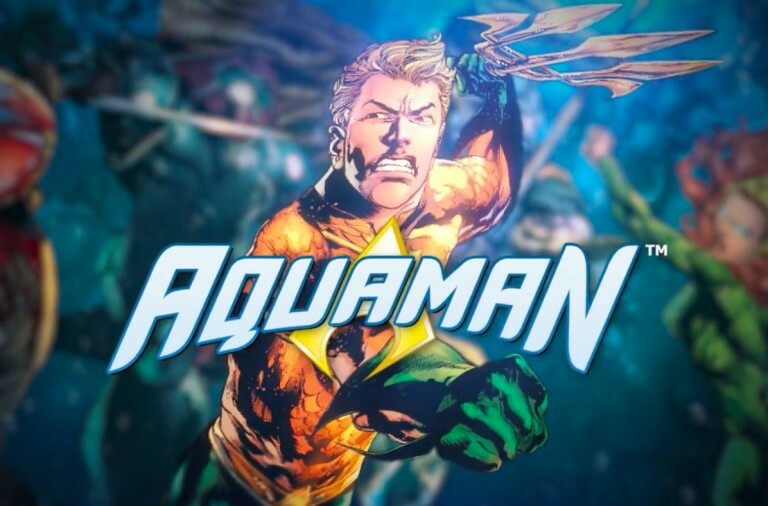 Aquaman – Awards 10 spins during which each time a symbol lands in the feature frame all other instances of that symbol on the reels become wild. Wonder Woman – Awards 7 spins with up to five feature frames added to the reels on each spin and each time a superhero lands in the frame all instances of that hero on the reels become wild. Superman – Awards 5 spins with a giant 2×2 feature frame on the reels with each spin. It will turn all superheroes that land in the frame wild. Batman – Awards 2 spins during which if a superhero lands in the feature frame all the superhero symbols on the reels become wild. The huge progressive jackpot is won through the DC Super Heroes jackpot game. The game can begin at any point while playing and once it starts you are guaranteed to win one of the jackpots. In the game you will need to reveal squares on a grid. Each square will turn a different colour representing one of the four jackpots. You win the corresponding jackpot once three matching squares are revealed (Grand, Major, Minor or Mini). 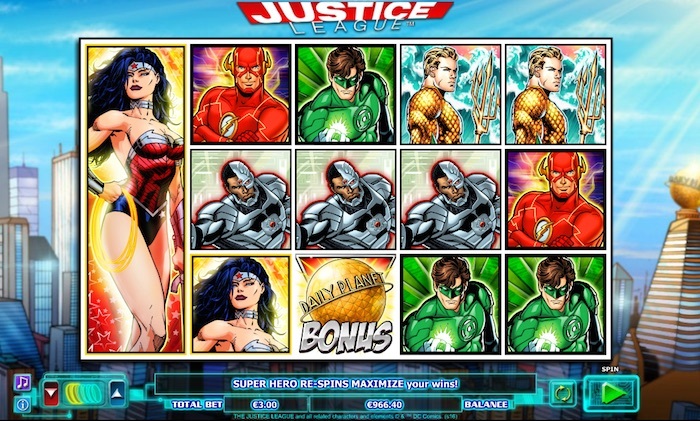 Justice League has a betting range of £0.40 up to £2,000 per spin and there is a large top payout of 750x for landing five wilds on a payline. Batman can payout up to 500x, Superman up to 400x, Wonder Woman up to 300x and Aquaman, Cyborg and The Flash can all payout up to 150x. With a progressive jackpot of over £1 million, this slot could certainly make you feel like a superhero. If you enjoy playing the lottery each week and wished that you could do so more often then MegaBall is the game for you. This fun lottery style game not only offers you a wide range of betting options, but it is also linked to a progressive jackpot worth close to £50,000. This is a fairly simple arcade game but it offers you the chance to place eight different types of bet on a lottery draw of six balls. A draw takes place every minute and in between draws you can place a number of different types of bets. The ‘Jackpot’ bet is very straightforward. Simply pick five numbers and if all five of them are drawn then the jackpot is yours. The next type of bet is called ‘Colours’. Each ball drawn will be red, yellow or blue and you can bet on how many balls of each colour are drawn. The payouts for this type of bet range from x2.70 for correctly picking two balls, up to x1450 for six balls of the same colour. The ‘Cocktail’ bet gives you the choice of one or two cocktails. A single cocktail is at least one ball of each colour being drawn while a double cocktail is two balls of each colour being drawn. They offer odds of x1.20 and x6.70 respectively. The ‘Sixth’ bet is very simple, you can either bet on the colour or the number of the sixth ball drawn. A colour bet will payout at x2.85 while a number bet pays out at x45. The ‘Steps’ bet is on whether the balls drawn will be in ascending or descending order. 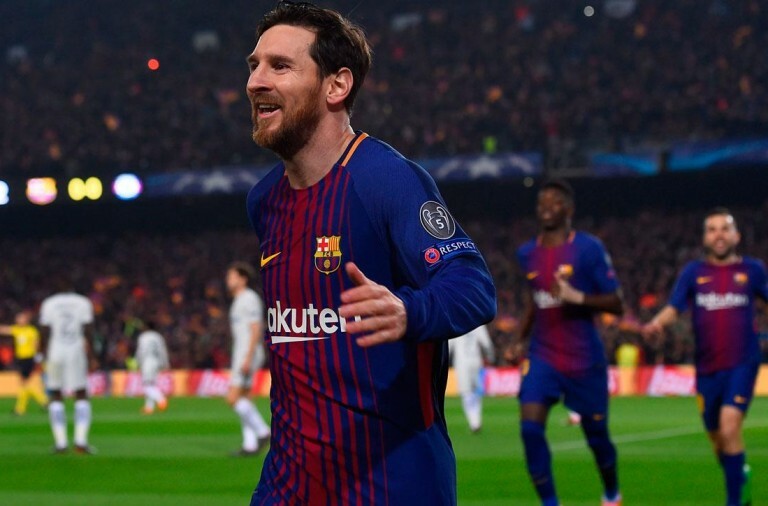 Whether you choose increasing or decreasing this bet pays at x680. The ‘Numbers’ bet allows you to choose up to four numbers. Picking one, two, three or four pays at x7.60, x71, x820 and x12,300 respectively. The ‘First & Last’ bet is on whether the first ball is higher than the last or vice versa. 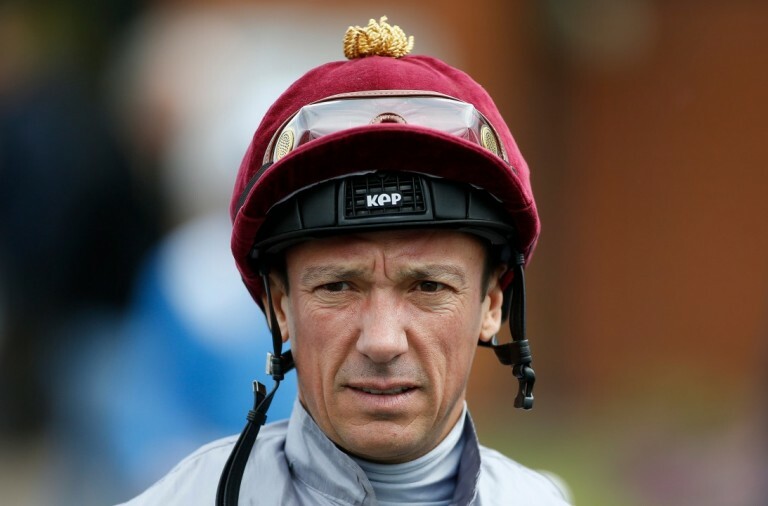 This bet pays at x1.90. Finally, the ‘Total’ bet is on the sum of all the balls. The payouts for this range from x2.75 for 101 to 140 right up to x5200 for 251 or above. This is a truly enjoyable lottery style game that is great for passing a bit of time and with a bit of luck you could win the progressive jackpot along the way. These are just a few of the many progressive games to enjoy at Winner Casino. Be sure to take a look around so that you don’t miss out!